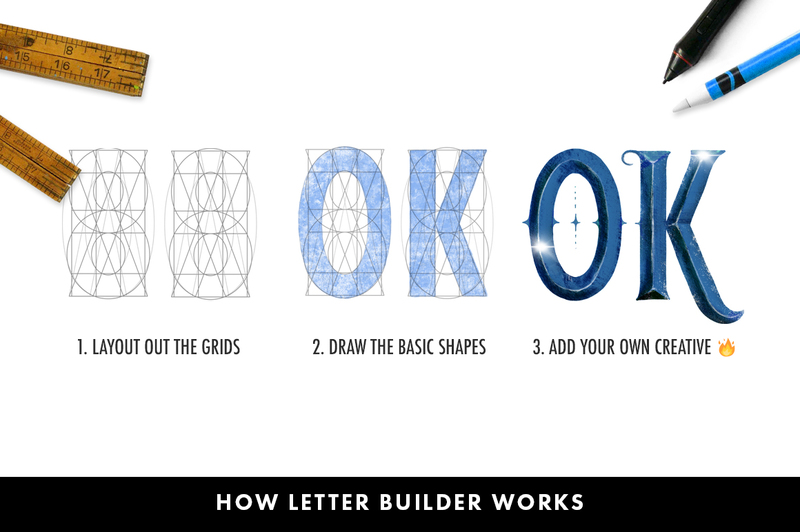 With Letter Builder we focused on a common lettering problem, consistency in our letterforms. As lettering artists we want to maintain size, width, thickness and style throughout a word. So we designed a number of letter grids that give you the basic form of each letter of the uppercase alphabet so you can spend more time giving the letters your own unique finesse. 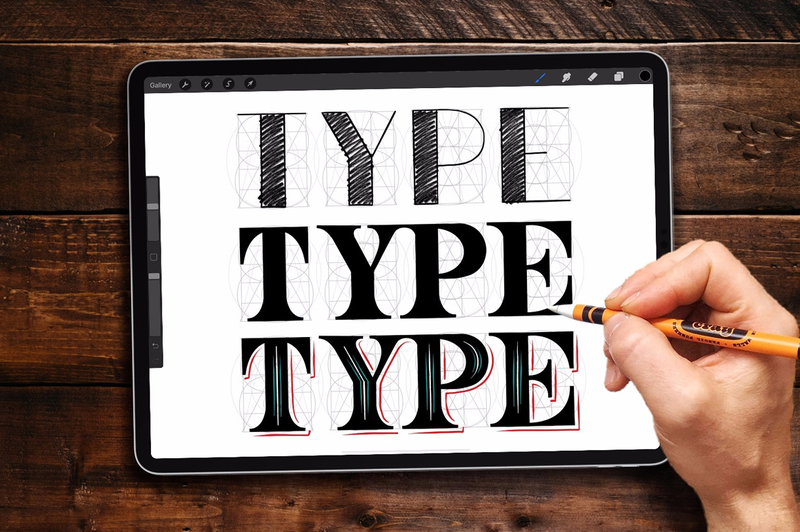 That’s right, using Letter Builder, drawing the outlines of Serif and Sans Serif letters consistently has never been easier! 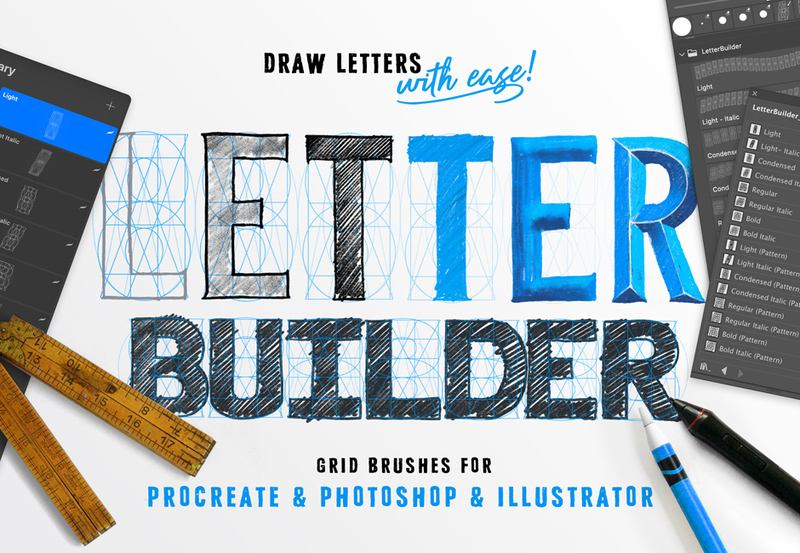 Please note: the files have been updated to support Affinity Designer, Autodesk SketchbookPro and include the Letter Builder Font (English support only). Hello, new to design cuts and Procreate. How do you upload these onto Procreate? Hey Sarah, welcome to the Design Cuts Community! It’s really exciting to hear that you are new to Procreate and we hope that you have great fun working with it! 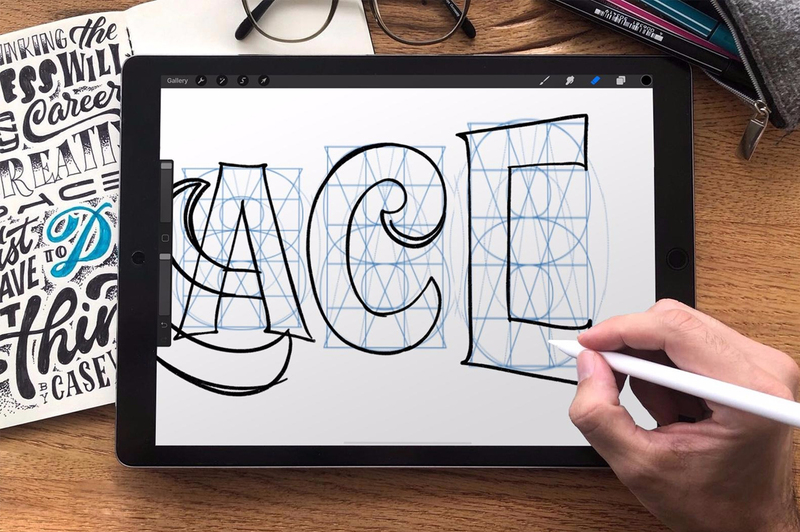 Ian Barnard, the designer behind the Letter Builder has actually included instructions for installing these onto Procreate with some handy visuals to guide you. You should find these in your Procreate download folder and in case you haven’t seen these already, I have popped you over an email with these instructions attached so that you can get working with this one without delay :). I hope that you find it useful Sarah. If you have any other questions, please let us know and we can certainly help you further with this! It’s awesome to hear that you are new to lettering and we hope that you have great fun building up your new skills! 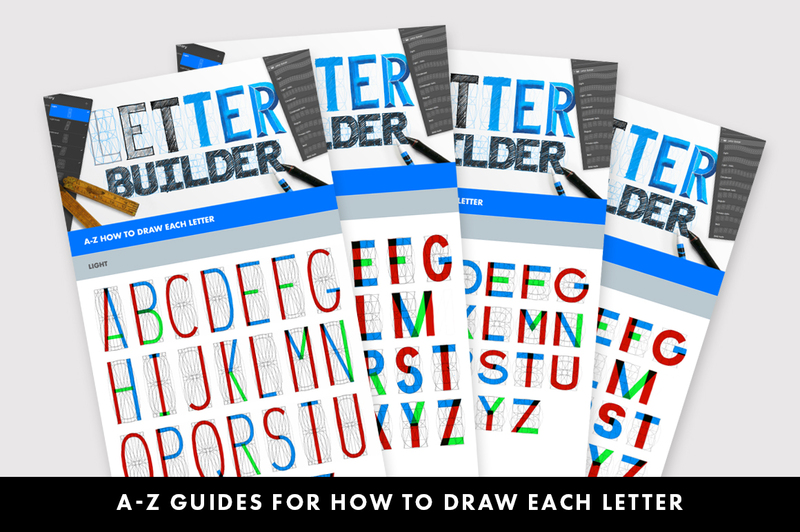 The great news is that Ian, the designer behind the Letter Creator has included A-Z drawing guides in this pack. 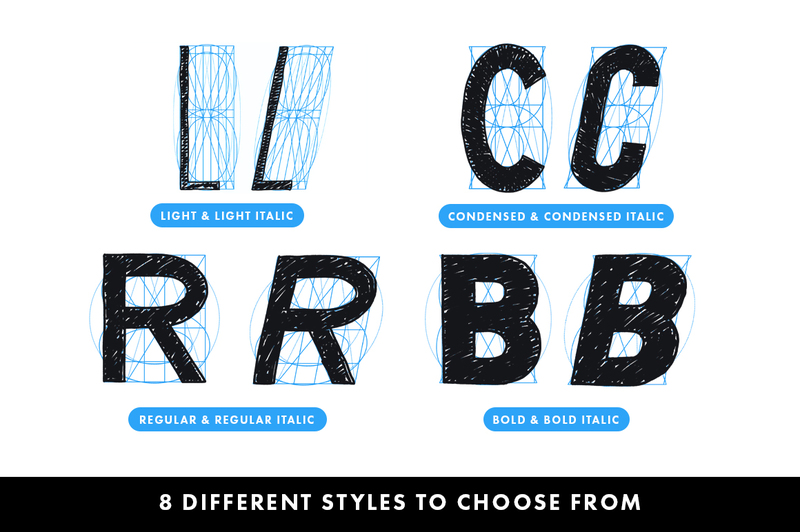 These PDF’s can help show you what your finished letters should look like on the grids and include the Regular, Bold, Condensed and Light font styles. will this work with Affinity designer? Thanks for you comment. Unfortunately we do not work with Affinity Designer ourselves so I am unable to confirm whether this one will definitely work for you. The good news however, is that in their support section, Affinity say that it should be able to work with your Photoshop files, so I hope that this one will work for you. I would be more than happy for you to purchase the pack, trial it out and see if it’s a good fit for you. Hopefully you do find it to be useful, however if you decide it’s not for you please do let me know within 30 days of your purchase and I will happily refund you in full :).